Kubernetes provides the fundamentals and building blocks to construct a usable platform for your team to develop and release to. Users can administer their Kubernetes clusters through a graphical user interface as well as an imperative and declarative command line interface, designed to manage the entire life-cycle of your containerised applications and services. 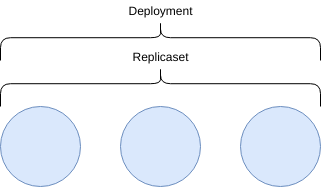 Diagram showing that a Replicaset consists of many instances of the same Pod. 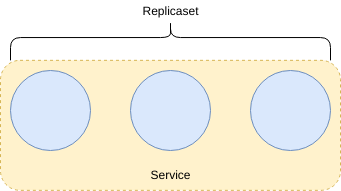 Diagram showing that a Service overlays all replicasets that match a specific label. 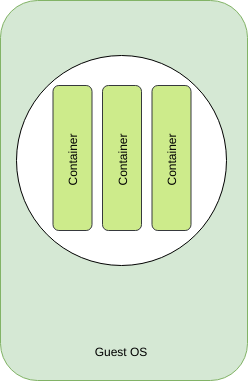 Diagram showing that a ConfigMap can be mounted as a file, or injected into the environment of a Container inside a Pod. 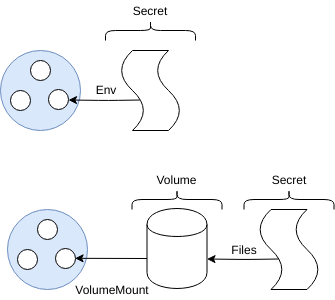 Diagram showing that a Secret can be mounted as a file, or injected into the environment of a Container inside a Pod. Diagram showing nodes with the same pod running only once across all nodes. Kubernetes is a platform for automating the orchestration of containers, enabling applications to run at scale on a myriad of platforms, that could contain a mix of processor architectures and operating systems at the discretion of the implementor. Using these core concepts, Kubernetes can schedule pods onto appropriate Nodes to ensure the greatest possible density of pods, controlled by Kubernetes implementing multiple algorithms such as Bin Packing allowing you to achieve higher hardware capacity utilisation.